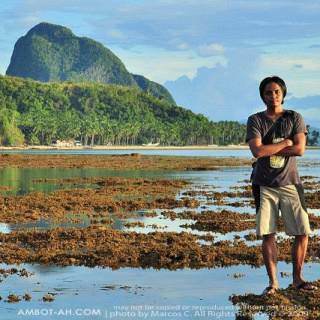 My plan was to start exploring the archipelagic islands of South East Asia (outside the Philippines). There was a particular image of Borneo that, to this day, stuck vividly in my mind while watching nature shows when I was a kid. 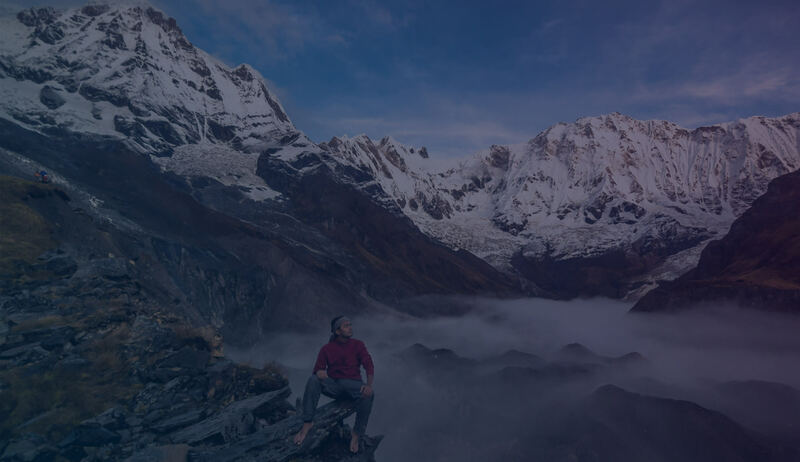 It was an aerial view of a scenic chocolate-colored river snaking through a seemingly endless layer of mist-covered rainforest isolated by sloping hills and mountain ranges. I couldn’t recall where, specifically, in Borneo, that scene was shot but I was craving to capture that moment by joining a camping tour in Borneo’s jungles. Maybe venture off a bit further even see (the much hyped) Orangutans or Proboscis monkey. Indonesia was actually the place I was most excited to explore. Because of (cheap) flights available that time, I also got the chance to make a stopover halfway in Kota Kinabalu found at the northwestern corner of Borneo. I regretted later that the flights I booked (from Clark to Kota Kinabalu and then KK to Jakarta) only afforded me five days in Borneo. It was only enough time to backpack to one remote jungle and not see much of anything else. 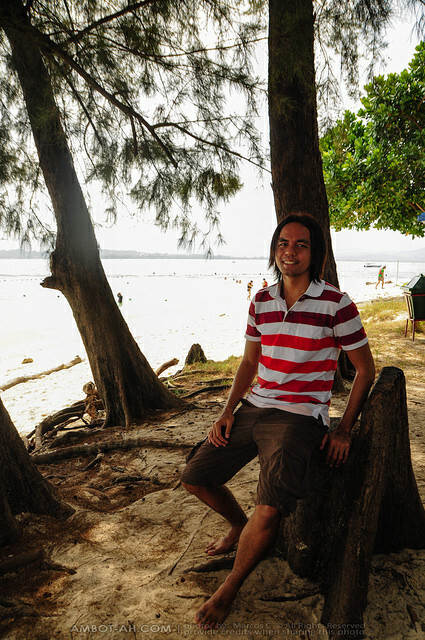 I decided to travel mostly to more accessible areas and experience as much of Borneo that my time and budget could allow. I ended up staying two nights in Kota Kinabalu, one night in Labuan Island on my way to Brunei, and another night in Bandar Seri Begawan, Brunei’s capital. 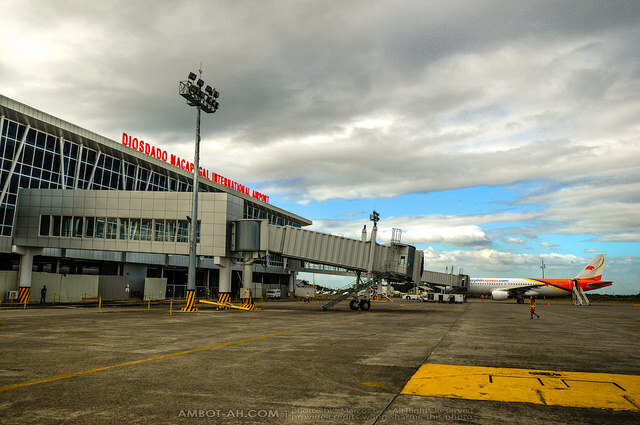 My second air transit via Clark International Airport. I skipped the expensive direct Manila-Clark Airport buses and learned how to commute by local bus via Dau-Mabalacat Bus Terminal. This time, I finally experienced breezing through Philippine immigration, which has always been an unnecessarily stressful hurdle during my past travels. 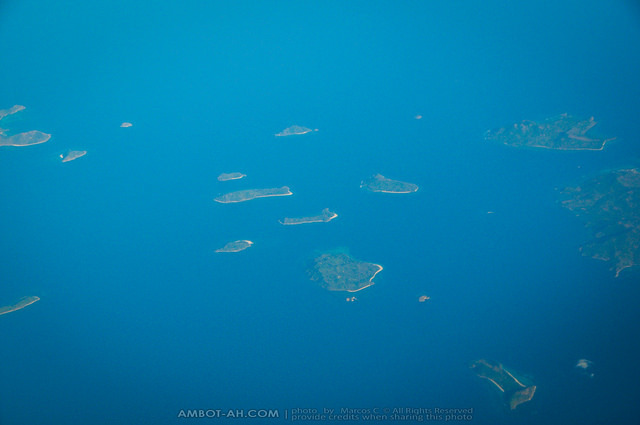 The plane flew over the islands of Palawan on our way to Kota Kinabalu. Visible on the photo are the Linapacan group of islands located between El Nido and Culion/Coron island group. It was so cool to recognize places I previously visited like Long Beach of San Vicente, where I got “lost” for an entire afternoon. 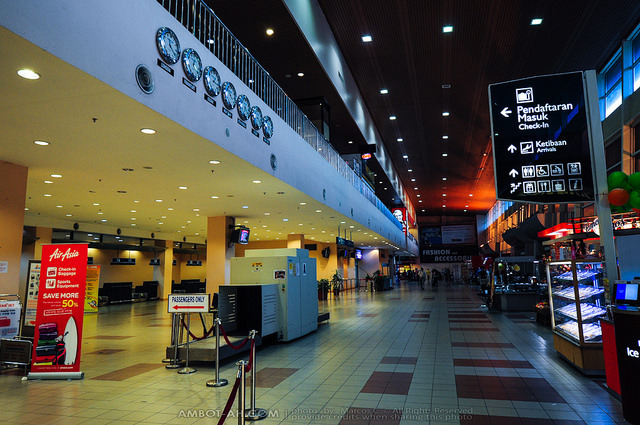 Arrival at Kota Kinabalu International Airport Terminal 2 (LCCT). Met fellow Filipino travelers who were great travel buddies during the first two days of my trip. 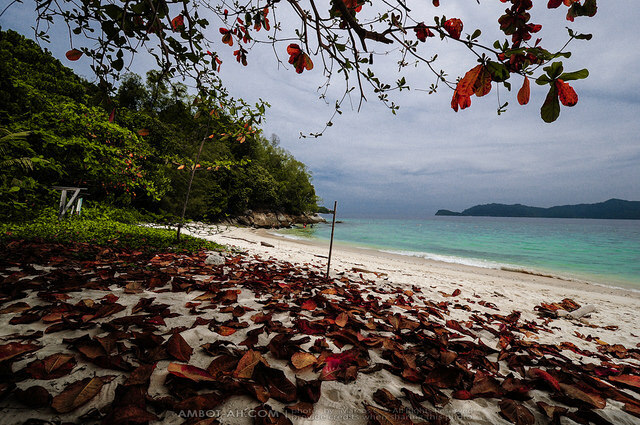 Island hopping at Tuanku Abdul Rahman National Park located 30-minutes off the coast of Kota Kinabalu. I and newly found friends visited 3 small islands that had beautiful white sand beaches and not-too-shabby snorkeling sites. Me at Mamutik Island. I was a bit surprised that I went island hopping instead of seeing the jungle interiors of Sabah. I was happy in the end because I enjoyed spending time with travel buddies for the first few days of my trip. I definitely have to plan longer trips in Borneo when and if ever I come back. 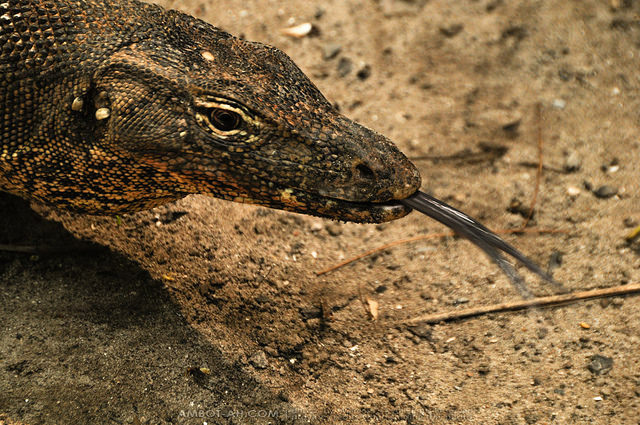 Resident monitor lizard roaming around the forested area of Sapi island. 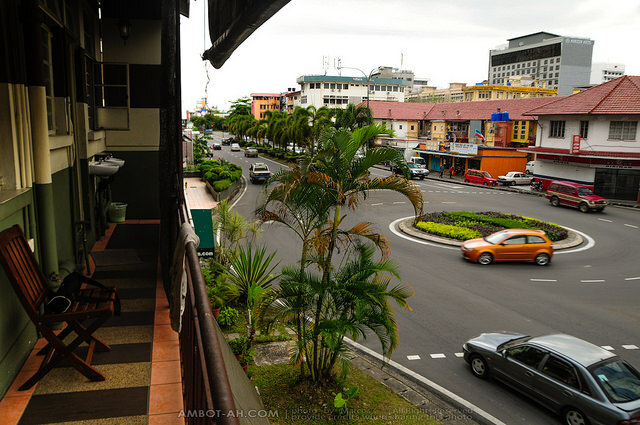 The view outside the balcony of Borneo Backpackers Hostel where I stayed for two nights in Kota Kinabalu. 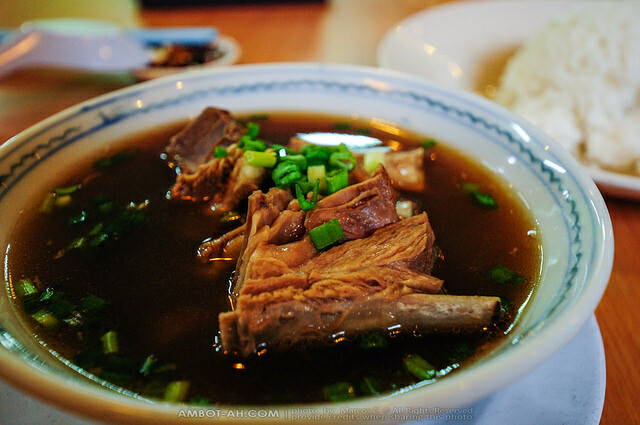 A Hearty bowl of (lamb) Bah Kut Teh before a long walk around Kota Kinabalu City Center. During my stay in KK, I went to the Atkinson’s Tower, KK Esplanade, Jalan Gaya, the Signal Hill Observatory, and Jesselton Port. 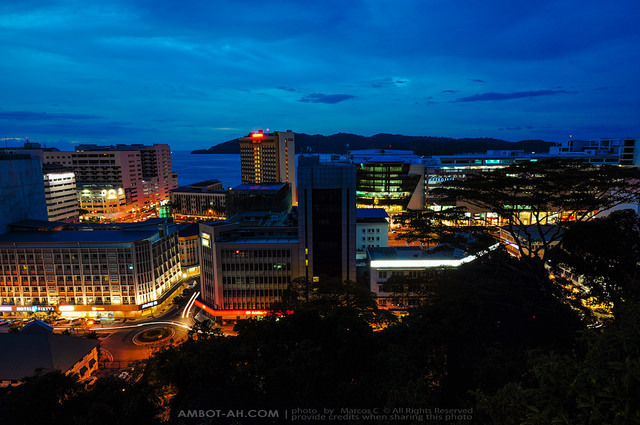 Nightshot of downtown Kota Kinabalu from Signal Hill observatory. Back to traveling solo again from KK to Brunei via Labuan, a duty-free island and a popular stopover for tourists going to Brunei. 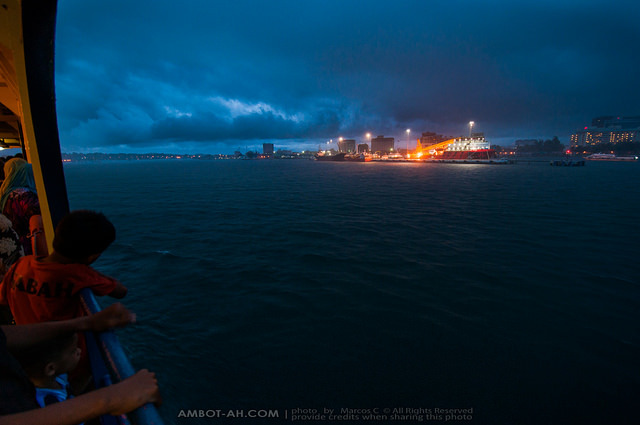 Direct ferries to Labuan were out of service that afternoon … there goes my chance to see the view of Mt. Kinabalu from the KK-Labuan ferry. The information desk at the Jesselton port ferry terminal in KK advised me to take another route: travel south to Menumbok, mainland Sabah by bus, then, take a slow ferry to Labuan. I was anxious going into Labuan because I had little idea about cheap accommodations there plus it rained heavily the night I arrived. I was lucky one of the locals tipped off a nice newly opened hostel called Uncle Jack’s Bad and Breakfast. 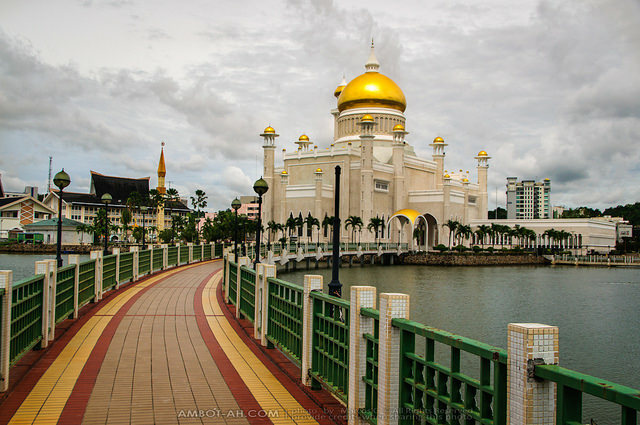 The Sultan Omar Ali Saifuddin Mosque shown in the picture is probably the most photographed icon of Brunei. My one day in Brunei was spent walking around the city street of Bandar Seri Begawan, the capital of this small but rich sovereign state. In the past, I imagined Brunei to be filled to the brim with ultra-modern structures and edifices glorifying its oil-funded wealth. I discovered this wasn’t the case in all of Brunei. Just across the river from the central business district was a huge village of wooden stilt houses, a scene that could be found in many (less developed) areas in Asia. Venturing 30 minutes away from the city center and you’d already get surrounded by seemingly untouched forest teeming with wildlife. 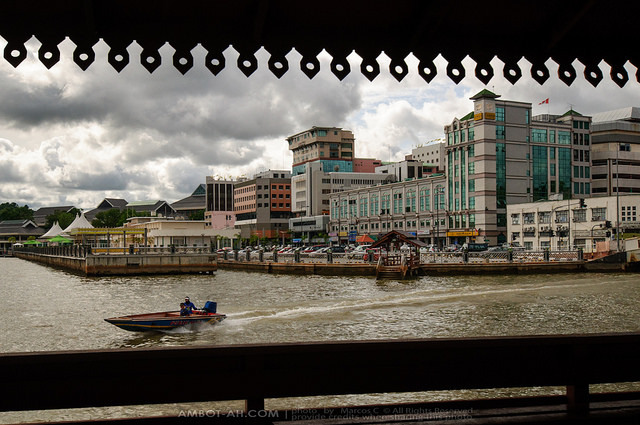 View of Bandar Seri Begawan’s central business district from one of the wooden river piers. Boat tour of Brunei River (past the huge water village). 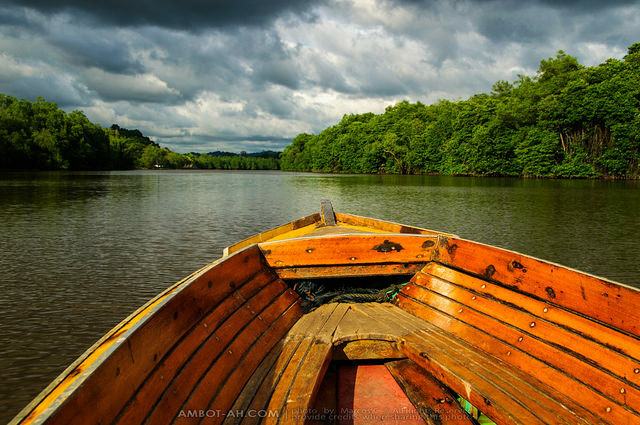 I went on this very touristy boat tour in an attempt to spot the proboscis monkey in the wild. Stayed at Pusat Belia Youth Hostel when I was in Bandar Seri Begawan. 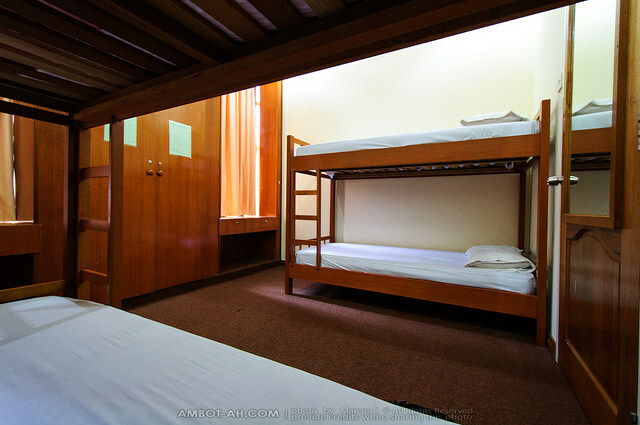 It’s the only cheap place to stay in town at B$10 (PHP336) per night. This photo of the Lawas River with the highlands of Sarawak was taken on my mad dash back to Kota Kinabalu (from Brunei) to catch a late afternoon flight to Jakarta. 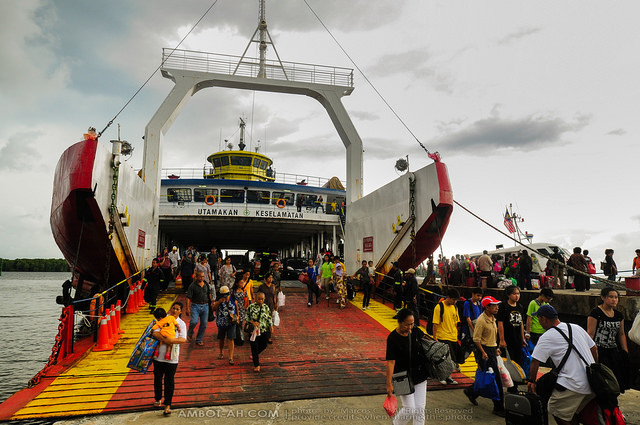 I missed all the ferries going to Labuan because I arrived at the Serasa ferry terminal too late. I was so lucky there was still one (last) boat leaving Brunei that morning. The ferry-bus connection passed by Lawas in Sarawak state of Malaysia. 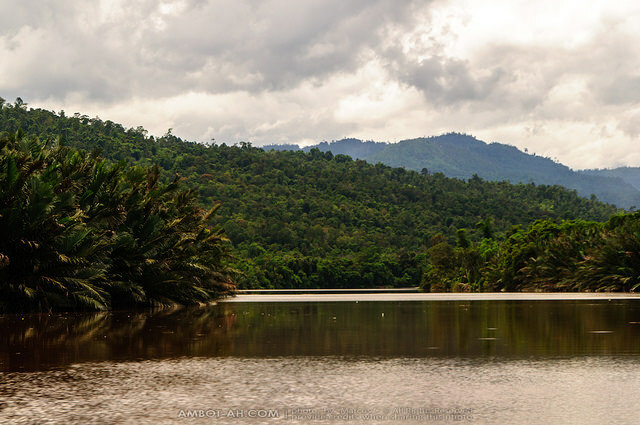 The views along the Lawas River was similar to that iconic scene I imagined going into Borneo. I was happy I got to see something like it before I left. 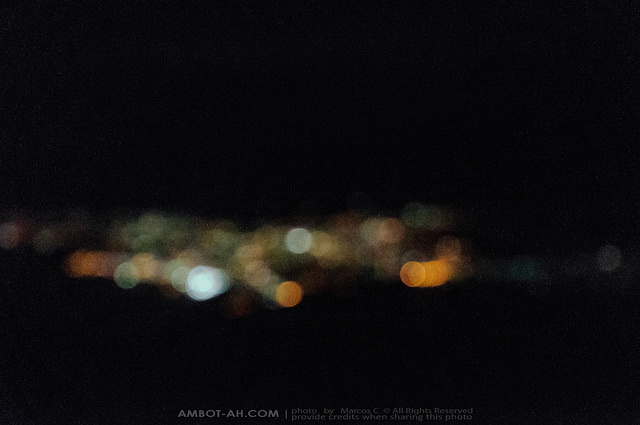 Aerial view of bokeh-fied night lights during my flight to Jakarta. I was so scared to visit Jakarta solo. It was a feeling similar to the first time I went to Manila on my own. My anxiety stemmed mostly from traveling alone in this megalopolis and figuring out how to explore Jakarta’s massive network of roads without getting lost. Exploring Jakarta was the preface of my visits to Yogyakarta, Borobudur Temple Complex, Prambanan Temple Complex, Mount Bromo, Baluran National Park, and Surabaya. Find more posts about Favorites. Discover more blogs and travel tips in Malaysia, Brunei, Sabah. i have the same image of borneo in my head. a brown river snaking through virgin jungle. i think it was the sarawak river it western borneo. glad to know it’s quite easy to explore this area. might just head there soon. Ahh, could be :) Yep, quite easy to travel around the Borneo side of Malaysia. Decent transportation network and most people can speak a bit of English. City center of Brunei is easy to explore by foot as well. The mere mention of Brunei, the first thought that come into my mind is Ruffa Gutierez.haha Kidding aside, going places in Brunei is fairly easy pala. I have to Google that one, I’m am clueless when it comes to celebrity stuff, LOL. Cool! Pwede din. Safe travels! thank you for this! very useful! my friends and I booked a flight to Brunei for next year for a week.. and I am thinking of visiting another place to stretch our tour! I now have the idea of visiting Kota Kinabalu….it’s like were going to Brunei – Kota Kinabalu – Brunei… hope this would materialize! is there a way to book ferry tickets in advance or do we have to be at the pier early? thanks a lot! hi Mavic! So ibig sabihin po ba pwedeng pumunta sa Malaysia via Brunei? Brunei po kasi nkalagay sa ticket ko. kaso naisip ko mukhang maganda ring pumunta ng Malaysia, so pwede po ba yun? 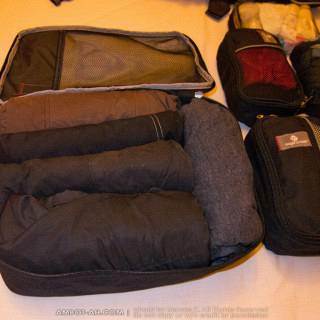 At the very least, you will need to show your return flights or onward travel from Brunei. I also did not have a letter of invitation or hotel reservation prior to my Brunei visit. In my experience, immigration procedures at other (visa-free) countries aren’t very particular with those two requirements. It’s the dealing with the Philippine Immigration that takes some effort. I was also always nervous when I was just starting to travel and going through immigration was the most stressful part. When I’m nervous, I would go on telling them everything about my trip so they ask even more questions. Giving short simple answers works better in my experience. The most important tip I learned is just being casual. If they ask me what I am going to do in Brunei, I answer that I’m “going on holiday.” If they ask for hotel reservations/letter of invitation, I tell them that I don’t know anyone in the place I’m visiting because I only want to visit tourist attractions and go sightseeing. I prefer to look for places to stay once I’m there. Hi, I came across your blog while googling for Kota-Brunei IT. Will be going there this March 27-April 1. Technically, we’ll be there on the 28 and leave from Kota the night of April 1. I was wondering if you could provide us tips on how to stretch our 5 days. 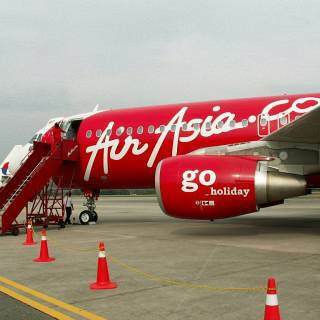 We plan to tour Kota on the 28th, climb on the 29-30 and go to Brunei by boat first thing on the 31st? And head back to Kota the afternoon of the first as our trip back to the Philippines is late night April 1. Do you think this is feasible? Thank you so much for your help. Yes, that seems feasible. That’s a good itinerary! 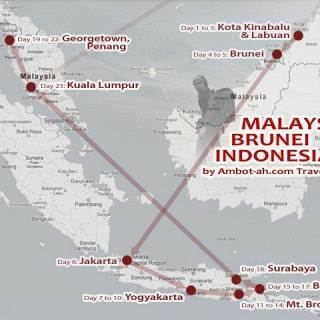 Thanks :) I’ve only traveled two days/1 night in Brunei, so I haven’t seen most of it especially its natural attractions. Brunei is beautiful. It’s an interesting place to visit and I want to come back. But if I were to travel to Brunei again, it won’t be just for Brunei alone but as one segment of a bigger trip around Borneo. I think, the cost of going there would be more worthwhile that way. any ideas on that matter will be totally grateful!